Shelborne Greene - Don't forget, you'Lower Level also have access to the community swimming pool and tennis courts too! MLS#21630359. F.C. Tucker Company. Tremendous potential for custom backyard living space! MLS#21627073. ERA Real Estate Links. Cool Creek Estates - Handsome, executive Colonial in Cool Creek North | Expansive main-level entertaining areas with circular plan | Formal living easily converts to private den | Formal dining expands simply into sunny bonus area | Fabulous kitchen, truly the heart of this home | Family room opens to delightful sun room | Newly finished lower-level Recreation room | So versatile | Incredible east-Carmel location w/total walkability to paths + trails MLS#21629713. Encore Sotheby's International. Village Of WestClay - Large Lot Overlooks Common Area And Trail. MLS#21629315. Allen, Inc., REALTORS®. 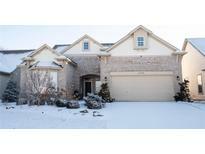 Beautiful home in popular Heather Knoll neighborhood and in Carmel Clay School system. MLS#21623032. F.C. Tucker Company. 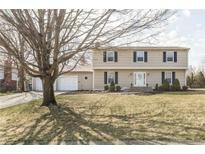 Big yard overlooks mature trees/landscaping & deck. Hurry-Home will not last! MLS#21627573. Highgarden Real Estate. Williams Creek - A large pantry and Sun room accent the cook's kitchen that gives you a second story view of the entire wooded grounds. MLS#21629864. Berkshire Hathaway Home. Lakes At Hazel Dell - New water softener, sump pump & refrigerator! Fresh paint throughout! MLS#21628205. Berkshire Hathaway Home. Village Of WestClay - Conveniently located, you'Lower Level never run out of activities nearby, whether it's a trip to one of the surrounding parks or enjoying local shops and restaurants. This home has it all. MLS#21629160. Hanza Realty, LLC. Thistlewood - Don't miss out on this great value in Carmel! MLS#21628819. Keller Williams Lafayette.